Senior Corporal Richard Lawrence was shot and killed when he surprised a pair of auto thieves as he returned home from work at 3:00 am. 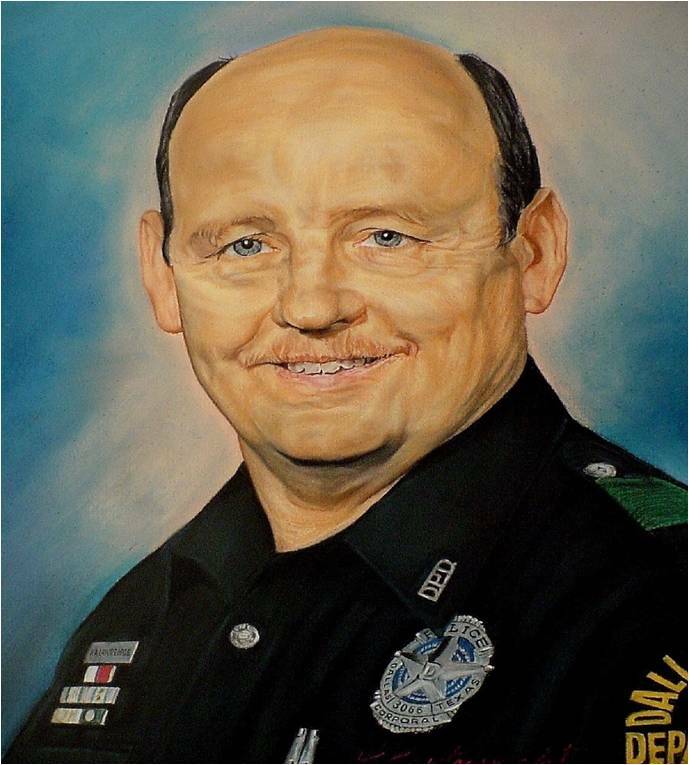 Corporal Lawrence was a U.S Army veteran of the Vietnam war and had served with the Dallas Police Department for 22 years. He is survived by his two daughters and son. Missing you, sweet cousin! Brandee and I have been in contact a lot this past year. I know she misses you terribly. She has such a good heart and her hubby really loves her, you can tell. And omgosh, I saw Rhett over Easter and he looks just like you! Seriously, twins! I sure wish you could have met my SIL, his dad and his brother (all LEO’s). I think you would have approved! I think of you so often, as do my sisters, mom and dad. I love and miss you.